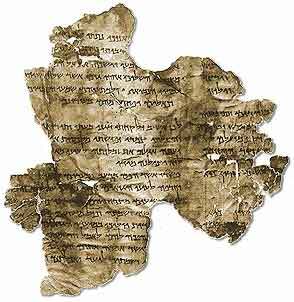 The San Diego Natural History Museum (in Balboa Park) is going to be hosting the Dead Sea Scrolls Exhibit. I saw them this last Christmas in Seattle and the display at the Seattle Pacific Science Center was extremely well-done. Unsaved sister-in-laws were even interested through most of the 2 hours we were there. They have audio guides for kids that talk about the scrolls in a dramatized story fashion, and interactive workstations that help people understand how hard it is to put together the fragments back into something readable. Oh…and they have fragments of the actual scrolls on display. You can actually see fragments of Scripture that existed for hundreds of years before Jesus. In Seattle, they had portions of Genesis, Exodus, Isaiah, Ezekiel and Psalms on display (as well as some sectarian writings). People who’ve seen the Scrolls display in Israel say that the one in Seattle was better done and had more to see and learn about than the one in Israel. Let’s hope that San Diego meets (or beats) the standard that Seattle set! Dates of the exhibit are from June 29 to December 31, 2007. Mark time on your calendars now to get down there and see them!